The great land of Xadia is rich in magic. There, everything bears a connection to one of the six Primal Sources: every creature, plant, tree, even the earth itself. The most intelligent of the magical creatures, the Elves and the Dragons, rule over the harmonious races of Xadia. Over the centuries, humanity eventually settled into five great kingdoms, each with its own rulers and customs. They have enjoyed a long era of peace and the rulers occasionally meet to discuss matters that concern all of humanity. 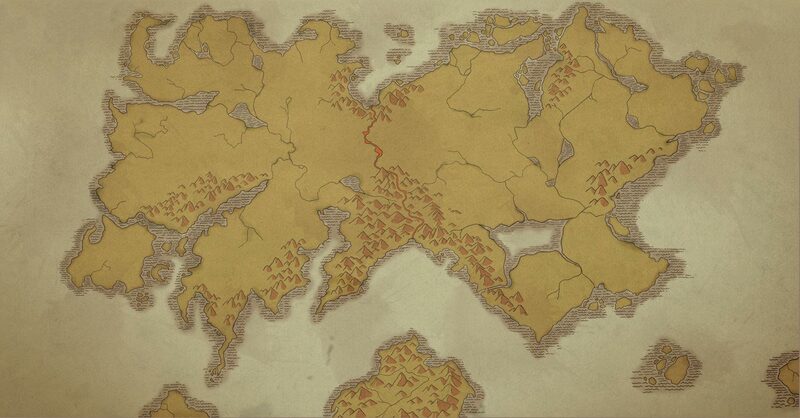 Katolis is the largest of the five kingdoms, with lands that stretch all the way to the Xadian border. Katolis is the largest of the five human kingdoms, both in size and military might. Its signature colors are red and gold, and its banner bears the kingdom’s seal, the uneven towers of Katolis Castle. As Katolis shares its border with Xadia, the kingdom has a long history of conflict and war with the magical lands to the east. Connected to the magical energy of the Moon, Moonshadow Elves are mysterious and elusive creatures. Their natural abilities in stealth and speed make them well-suited to the work of assassins. Moonshadow Elves have a rather rigid culture: they believe in duty and oaths above all else, and they never show fear. On the night of the full moon, Moonshadow elves are at the height of their power — and can become nearly invisible. An Archdragon of the Sky, Thunder was the most recent King of the Dragons. All other dragons accepted him as their king, and the elves, too, respected him as the most powerful creature in all of Xadia. Though no humans knew his true name, they fearfully called him “Thunder,” for when he spoke, his voice shook the earth and sky. For centuries, Thunder jealously guarded the border between the human kingdoms and Xadia. From the sky, he could spot any human incursion into his lands — and once he’d seen them, it was already too late. Thunder could transform his body into lightning, arriving instantaneously in a deafening crash, utterly destroying the humans. The Border between Xadia and the Human Kingdoms is a churning river of molten lava, created by powerful dragons when humans were driven to the west for practicing dark magic. It is a horrific scar in the land and extremely dangerous for even the most seasoned explorers and soldiers. Katolis keeps The Standing Battalion, one of its most powerful armies, on constant guard at the border. Its troops are led by General Amaya, an iron-fisted commander with a deep hatred for Xadia. A lush nation considered the garden of the human kingdoms, Duren trades their unparalleled harvests with all the other kingdoms. Duren’s signature colors are blue and white and its symbol is a flower. Neolandia lies in the harsh, northern desert lands of the human kingdoms. A constant struggle to obtain water and food has borne a resourceful, but hierarchical civilization. Neolandia’s signature colors are white, black and gold and its symbol is an elephant. The kingdom of Del Bar has forged a home among the freezing valleys and crags of the western mountains. Renowned for their skills in hunting and smithing, the people of Del Bar relish a simple and practical life close to nature. Del Bar’s signature colors are green and brown and its symbol is a serpent. Hidden in the convoluted tributaries of the swamplands, Evenere has a reputation as a dreary place. Cut off from the other kingdoms by any avenue other than ship, the people of Evenere live fiercely independent lives. Evenere’s signature colors are black and green and its symbol is a dragonfly. Moon magic is most powerful at the Moon Nexus, a beautiful lake high on a mountain where the full moon reflects perfectly on the water’s surface. When the land was split in two, the Moon Nexus fell upon the human side of the Border, and thus the Moonshadow elves appointed a Guardian of the Nexus to protect its power from human greed. To cast a spell, a mage needs primal energy. An Ocean mage may call upon the ebb and flow of the sea, a Sky mage the thundering churn of a storm. But in the dark of night, a Sun mage would struggle to conjure a simple flame — unless they possessed a Primal Stone. Primal Stones are powerful artifacts that act as conduits to primal sources even when the source itself isn’t immediately available. They give a mage access to primal energy anywhere, any time: Sun magic in darkness, Earth magic at sea, for example. But Primal Stones are incredibly rare — only master mages can craft them, and the crafting rituals themselves have largely been lost to time. Sky magic draws on the vast sky, the energy and movement of the winds, and the power of thunderstorms. Creatures connected to the Sky Primal are typically quick and clever and prize the freedom to make their own choices in life. Star magic is little understood. It draws on the vast and timeless power of the cosmos, and involves divination, cosmic vision, and seeing into the “beyond.” Creatures connected to the Stars are extremely uncommon and rarely seen. Ocean magic draws on the depth of the oceans and tides, and its power connects through rivers and lakes that flow back to it. 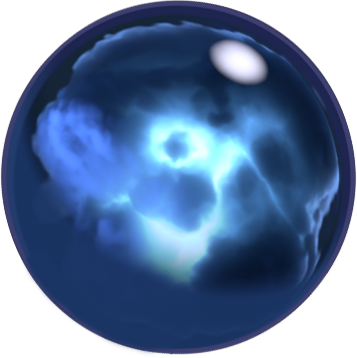 Ocean mages can reflect the nature of their home: a swamp mage and a river mage would look very different, though they both connect to the same Primal Source. Ocean-connected creatures often forge strong connections to others, and can have hidden depths. All magic in the world draws upon the six Primal Sources, enormous, powerful entities of the natural world: the Sun, the Moon, the Stars, the Earth, the Sky, and the Ocean. The magical creatures of Xadia are all connected to a Primal Source, and their natures and powers reflect that source. Earth magic draws on the power and energy within the land itself. Earth magic comes from two major domains: the stone, minerals, crystals, and gems of the land, and the flora and fauna of the living world. Creatures connected to the Earth are patient, sometimes stubborn, and care deeply about the history and balance of the natural world. Sun magic draws from the heat and energy of the Sun. Sun magic has a dual nature: it can conjure spells of light, growth, nurturing and transformation — or it can call upon fire, heat, and destruction. Sun-connected creatures are often intense and charismatic and make natural leaders. Moon magic draws on the spirit and energy of the Moon, creating illusions, concealment spells, and connections with spirits. The Moon is cyclical in its strength, relating directly to lunar phases. Moon Primal creatures can be private and secretive, and are keenly aware of the power of appearances. Dark magic does not connect to any of the Primal Sources. Instead, it draws upon the power within magical creatures themselves. The ease and potency of dark magic caused humans to hunt and poach magical creatures to harvest their energy. Horrified by the practice, the elves and the dragons divided the continent and drove all humans out of Xadia.